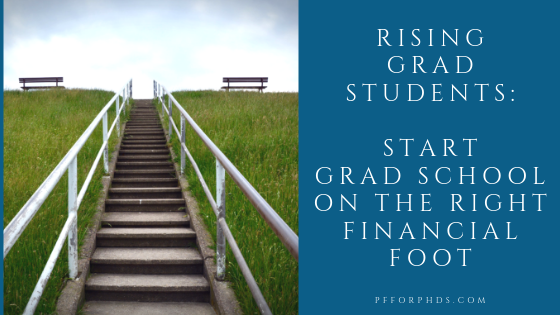 Start Grad School on the Right Financial Foot is my coaching program for rising funded grad students (matriculating fall 2019). Objective: To guide rising graduate students to start graduate school in a strong financial position and position themselves to be financially successful during their PhDs. Topics: The core areas of focus of the program are drafting a budget, researching and committing to housing and transportation, estimating moving and other transition-related expenses, saving for your transition, and setting realistic financial goals. As needed and as time allows, we can also discuss increasing income, saving for retirement, debt payoff, tax on fellowship income, and building credit. Mechanism: The coaching component consists of four sessions over approximately 2 months – one 55-minute session and three 25-minute sessions. You will additionally receive three template documents to assist you: a balance sheet, a budget, and a moving expense tracker. Next step: Interested in learning more? Let’s have a quick 15-minute chat about the program. Sign up below.